Properly maintaining a car can be expensive with the cost of fuel, mechanic services, and tire and brake replacement. Since you can't use a car without fuel, you can find the best available gas prices and use products designed to make your care more fuel efficient or less expensive. The air filter must be clean in order for a vehicle to run at peak efficiency. The U.S. Department of Energy claims that replacing a dirty air filter can improve fuel efficiency by up to 10 percent. The best option is a K&N Million Mile Air Filter, which is a permanent filter. Rather than replacing it with a new one, this filter can be cleaned and reused, which saves money. They also allow better air flow than regular filters. Properly inflated tires are another key to getting better gas mileage. A tire gauge is easily a best fuel saver product because it allows you to get a reading quickly. Measure the tires' inflation when the vehicle has not been driven in at least three hours; driving increases pressure inside the tire. Check your car's owner's manual for suggested inflation levels. Automotive review site MyCarNeedsThis gives the TireTek Flexi-Pro Tire Pressure Gauge its highest rating with a 4.9 out of 5 stars based on consumer input. You can save an average of $78 annually using lower resistance tires, although they may not be a practical option in areas with rougher roads and weather extremes. Tire retail site Tire Rack recommends the Goodyear Assurance Fuel Max low resistance tire as a best choice. The tire also receives high reviews on Discount Tire Direct with an average rating of 4.7 out of 5 stars. Keeping your tires properly inflated can increase fuel economy and having a tire inflator on hand makes this much easier to do. Consumer site Best Reviews gives its highest marks to the Viair 00088 88P Portable Air Compressor for its quality construction and ability to handle just about any size tire. Using a synthetic oil can increase your gas mileage by 2 to 5 percent. You can also go longer without oil changes, thereby saving money on the cost of new oil and mechanic fees. Castrol EDGE Extended Performance has a 5-star rating from car mechanic information site Gear4Wheels. You can save on the cost of gas on your daily commute by creating a carpool. You may have to sacrifice a bit of convenience but in the long run, the savings will be well worth it. Using a carpool app for your smartphone can make getting together with riders easier. Waze, maker of the popular Waze navigation app, also makes Waze Carpool, which allows you to find riders along your routes. The free app is available on the Google Play store and the iTunes store and gets a rating of 4.1 out of 5 stars on Google and 4.5 out of 5 on the iTunes store. 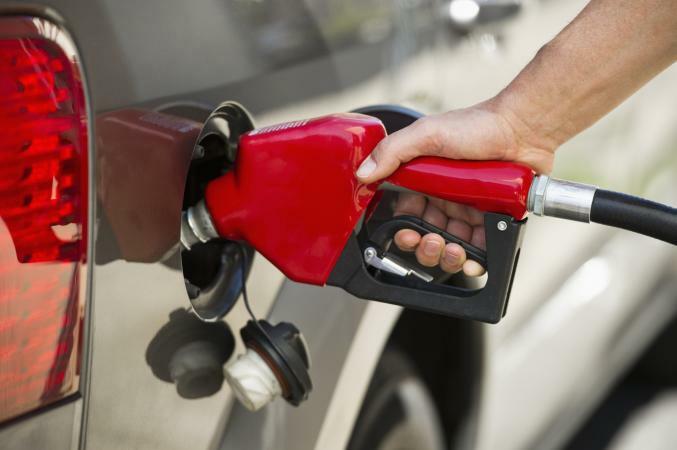 Forbes magazine recommends researching the pricing on gas to find the best deals. An easy way to do this is by using a smartphone app. They recommend GasBuddy, which is available for free on both iOS and Android platforms. The app is an Editors' Choice pick on the Google Play store and is the #13 travel-related app overall in the iTunes store with a 4.7 out of 5 star rating. Financial site Nerdwallet suggests getting a credit card with rewards for buying fuel as well as discounts back on fuel based on your purchases. They have a handy tool on their site for finding the best card for you. Check also with your local grocery store, many of which have fuel rewards programs such as Safeway and Hy-Vee. Some gas station chains also offer their own fuel reward cards, which can help you save money every time you visit. Shell and BP are good examples of these types of programs. One of the perks of a warehouse store membership is that many include the ability to use their gas pumps with discounted prices. Costco ($60 to $120 per year), Sam's Club ($45 to $100), and BJ's Wholesale ($55 to $110) offer fuel at many locations. One ultimate way to save fuel is to purchase a hybrid car which uses a combination of a traditional gas-powered engine with a propulsion system that runs on electricity. U.S. News's number one pick for a hybrid is the 2018 Toyota Camry which is supported by Insider Car News. The Camry Hybrid can get up to 52 mpg and is an affordable option under $30,000. If a new car is out of your price range, Autobytel recommends the 2013 Chevrolet Volt as the best used hybrid car to buy with a Kelley Blue Book value of approximately $14,000.